The author of a recent book on the Arab world has said that the current Arab revolutions are “the beginning of the end of autocracy,” but he forecast that change will come to Syria only slowly and after much more bloodshed. He also said he expected “further troubles” in Bahrain, with the majority Shias continuing their campaign for political reform and the government “not there yet” in trying to find an accommodation with them. 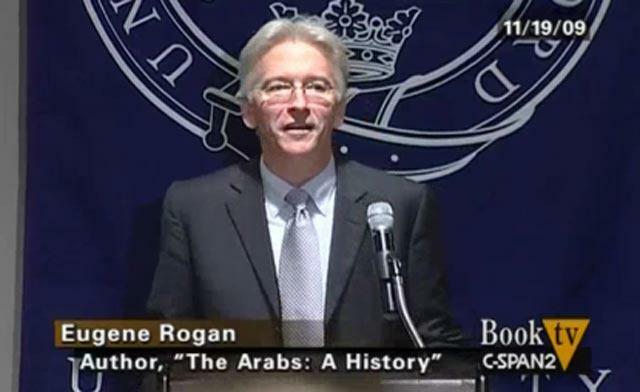 Professor Rogan is author of the 2009 work, The Arabs—A History. He made his remarks in an address to the Royal Institute of International Affairs in London. He said the revolutions have dispelled the myth that Arab and Muslim societies generally are incompatible with democracy. In a broad survey going back as far as the 1830s, he traced various developments that he said showed Arabs have long been striving for democracy. The Arab country that emerges from the current upheavals with the highest level of freedom and democracy, he said, will become a model for the Arab world. “Tunisia is likely to produce the most plural society,” he said, noting that it is leading the way in female empowerment. The Tunisian government is planning equal representation for women in Parliament, and he said that would be “a good role model” for women elsewhere in the Arab world. Of Egypt, he said the military government has no wish to retain power but wants to make sure that a new constitutional arrangement preserves its interests. He pointed to the need of economic progress to sustain the various Arab revolutions but said the West’s ability to help with that has never been so circumscribed as now, due to its own financial problems. The new regimes, he said, will need to adopt incentives for foreign investment and Western governments need to open their markets to agricultural products from the region. In Egypt more than in Tunisia, he said, the government will have to pay serious attention to factory workers demands. “Stability will only come by addressing workers’ demands,” he said. Asked if he expected Islamist political parties in Egypt and Tunisia to try to capitalize on the revolutions to take power, he said: “I don’t think it will happen. After many years in the wilderness, they will behave impeccably.